Opposite of the Old Market Hall used to be two restaurants with almost similar names, G.W.Sundmans and Sundmans Krog. However, difference was quite huge. In the past one Michelin star restaurant G.W. Sundmans in the second floor was closed from public last year; it is now private restaurant for special occasions. 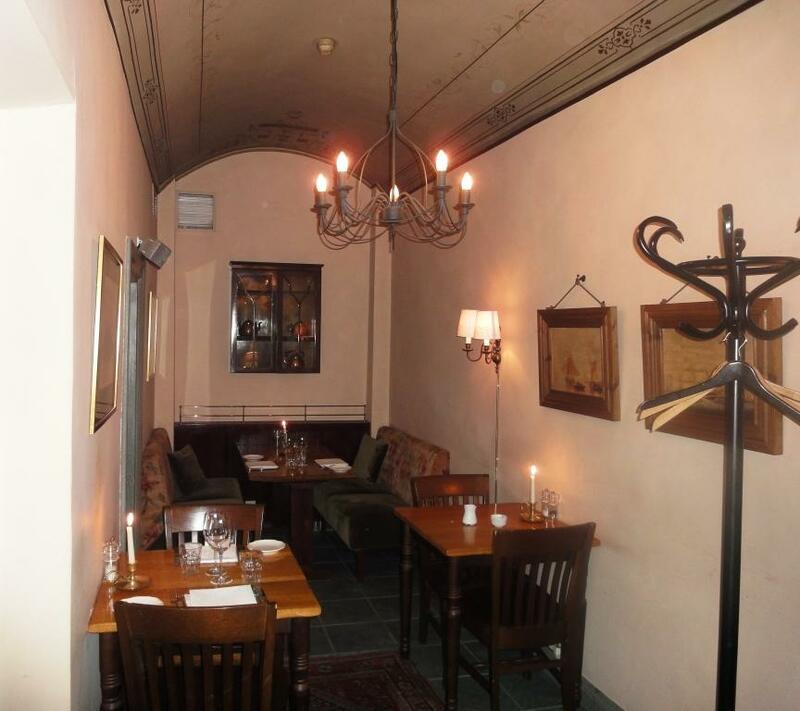 Restaurant Sundmans Krog is more laid-back restaurant with one speciality, fish buffet, which you can order for starter or for main course. For main course it is maybe too modest and needs some additional dishes. 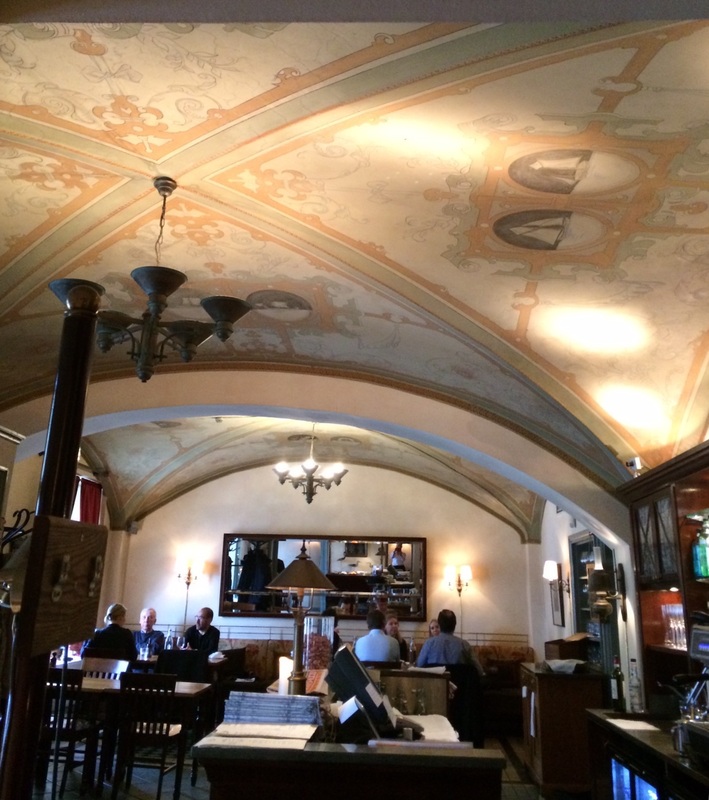 Dining rooms in the old building is refreshing as most new restaurants try to be trend setters or their decor is really simple. We were seated in small side room at sofa table. A little bit echoing but otherwise nice to sit on soft couch compared to hard wooden chairs. 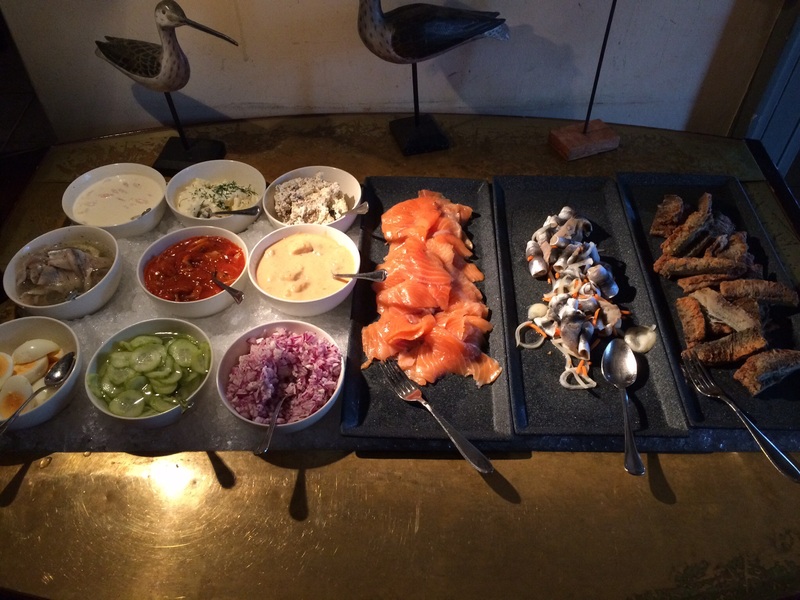 Started the dinner with easy decision, Sundmans Krog’s traditional fish buffet with dill potatoes. Potatoes were brought to the table with bread and unique butter scoop. Restaurant’s name on paper cover was a nice surprise. Spiced salmon was unfortunately too salty and it disturbed because herrings at the buffet are salty of course. This time salmon roe was missing although buffet table included sour cream and onion mince. Was it finished or did the restaurant save money? For main course ordered Fish of the day with Stewed potato seasoned with mussel cream and dill- fennel sauce. 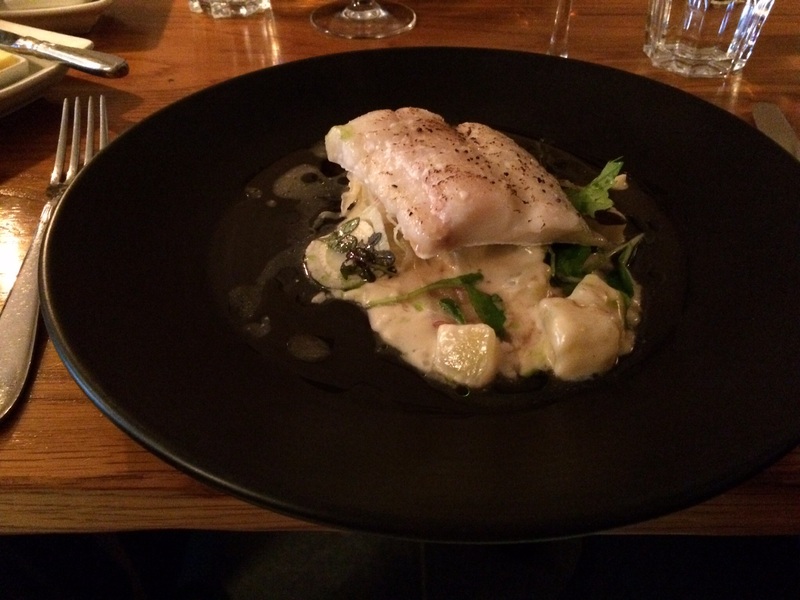 The fish available is quite rare in Helsinki restaurants, haddock. It is close to cod but smaller and drier fish. White pepper do not match with white meated fish, at least not in this case. Restaurant Sundmans Krog was one of the few restaurants open on Eastern Sunday in Helsinki. However, it was not full at all. Maybe fish buffet should be a little bit more generous or extra ordinary in order to attract more customers. We did not try special offer from separate Steak and red wine list, which is available until 5th May. Maybe that would have raised grade for food. Service was professional and polite as expected. 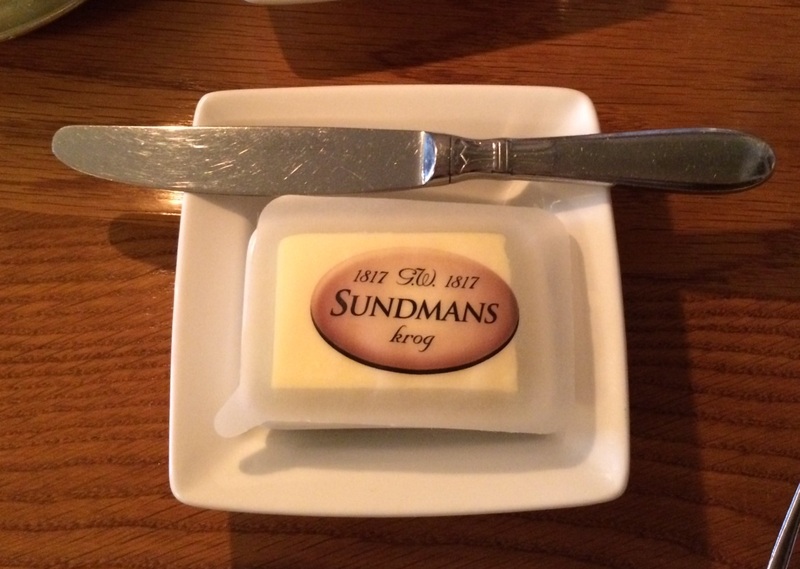 Two years ago Sundmans Krog earned better points but maybe next time it will come back to the same level. Sundmans krog | Services | G.W. Sundmans & Sundmans Krog. If you get window table you can see Market Hall and Market Square, ask for it. fish buffet? so made for me! haha 🙂 wish we had something like that here in bangkok! You should visit Helsinki 😀. Thanks for reading the post.